Looks like Season Three won't waste any time getting to what was promised in the Season Three trailer. "The Holocrons of Fate" is an especially intriguing episode title. 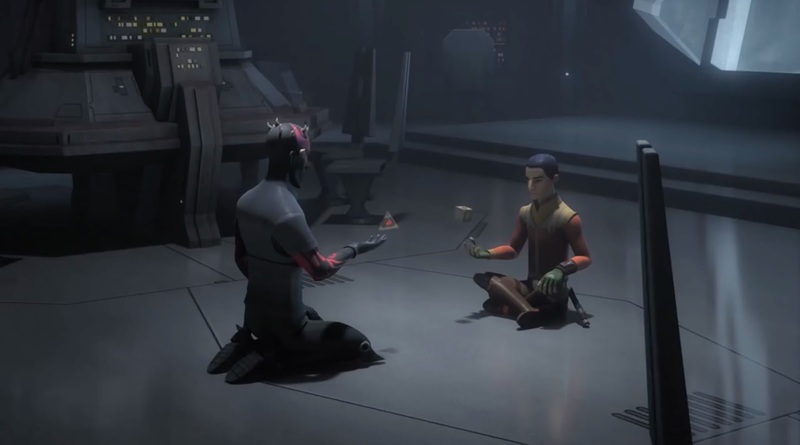 There was the great shot of Maul and Ezra using the Force to open the Dark Side holocron from last season's finale and Kanan's Jedi holocron, which seems like it would fit in that episode. And, of course, it will be great to finally see a young Wedge Antilles on the series. 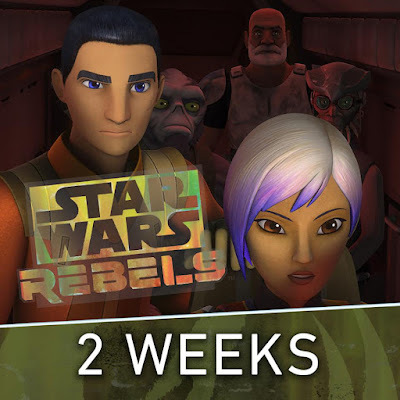 I was a little surprised when more wasn't made of that reveal during Celebration back in July. Regardless, I'm looking forward to seeing where his story goes this season. Star Wars Rebels Season Three airs Saturdays at 8:30pm starting September 24th on Disney XD.